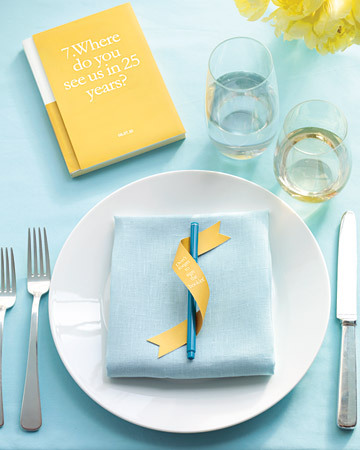 It seems as if the average wedding guest book gets stuck in a cupboard or drawer somewhere and completely forgotten about until it is time to do some spring-cleaning, but this does not need to be the case. 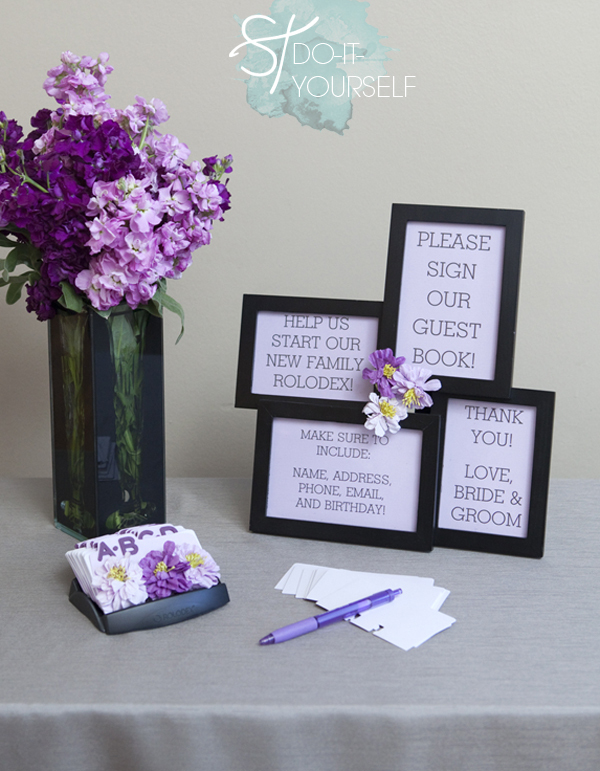 No longer do your guest books have to be a simple book with papers and pen marks; they can be unique, cute, and many ideas can be made into home decor or something useful. 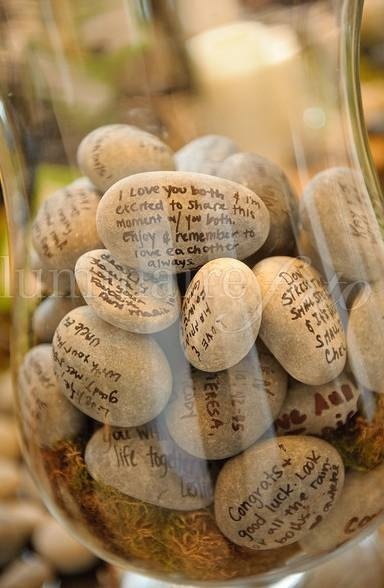 Your guests can write on stones, which can wind up being part of your home decor later on. Place them in a wine glass, Mason jar, or vase for a cute and polished look. 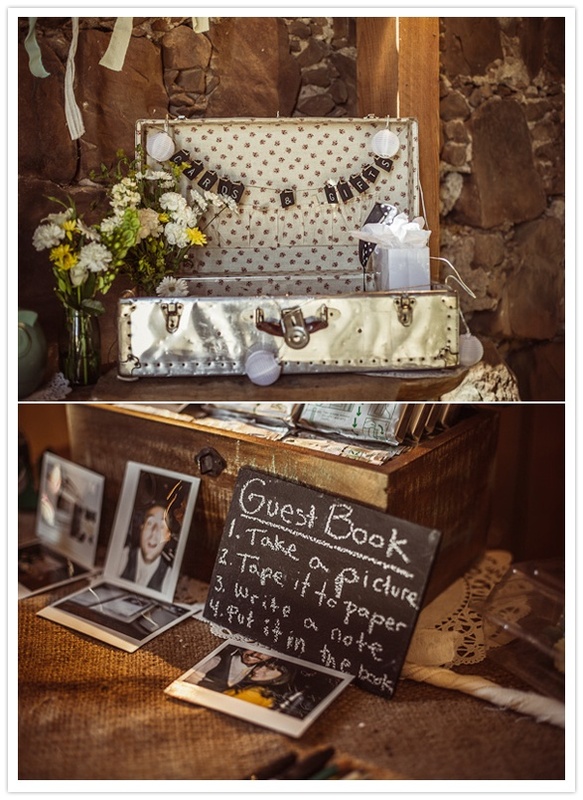 Set up a photo booth, a Polaroid, or digital camera with a printer, so guests can either take photos and write a message on them, or they can put a scrapbook together right then and there by adding the photo to an album and writing a special note underneath. Have a tree with paper leaves. 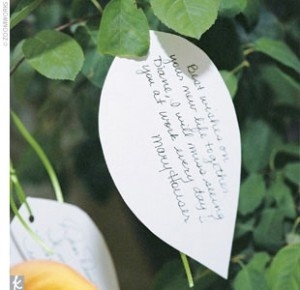 Set out the precut paper leaves with pens and ribbon to hang them with, so guests can write their well wishes as a fun guest sign in. The finished product can go up in your house, be taken apart and put in a scrapbook, or laminated for preservation and restrung on the tree. 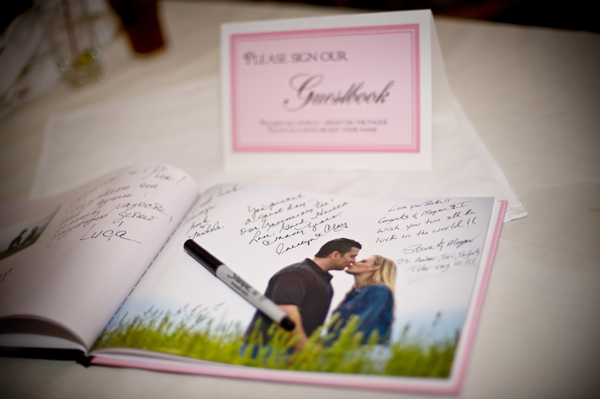 Have a pen and card set up at everyone’s table setting so they can sign it at their leisure. 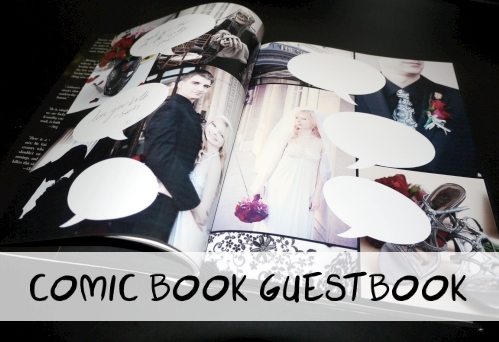 I also love the idea of giving each guest a fun question to answer; the results can make a fun little booklet. This is such a fun idea! Make fill-in-the-blank cards for everyone to fill out. Imagine how much fun these will be to look back at in 10 years. 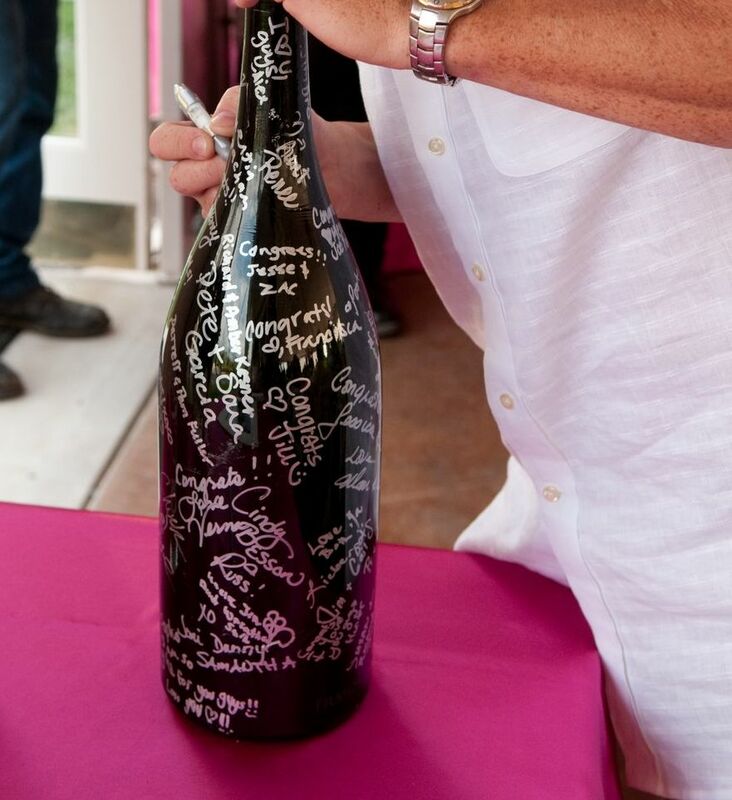 Have people sign recycled wine bottles. The recycled wine bottles can either be used as flower vases or as a source of light (by drilling two holes in the back of the bottle and stringing lights through) later on. Just like in high school when everyone signs your yearbook, have friends and family write their warm wishes in a photo book or album of your engagement and dating photos. How cute are these heart cutouts? 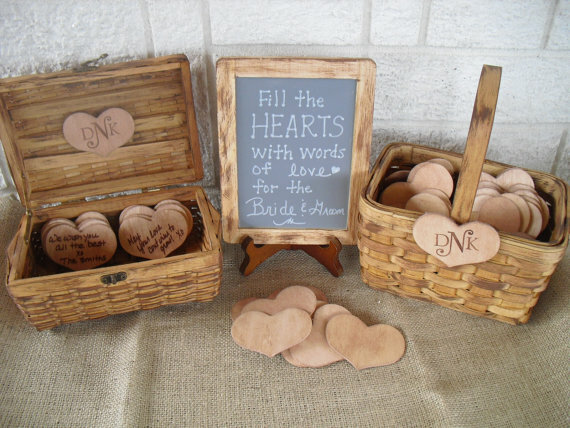 Make cute cutouts for everyone to write notes on, when finished, they can be placed in a basket, box, or bag for you and your hubby to go home and look through after the honeymoon. 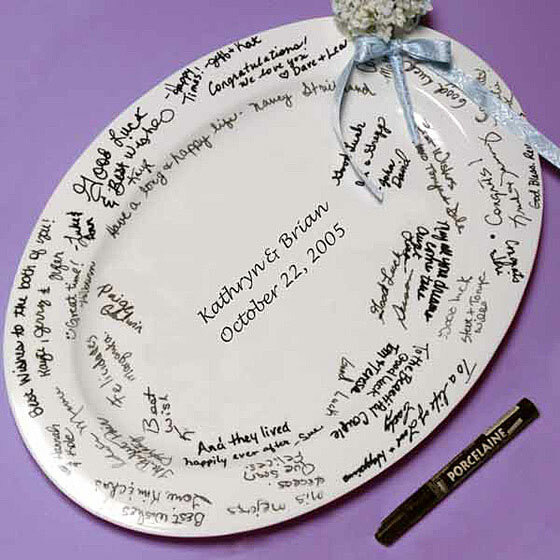 Guests can sign an engraved plate or dish, which you can have on display at your house for memories that will last years to come! 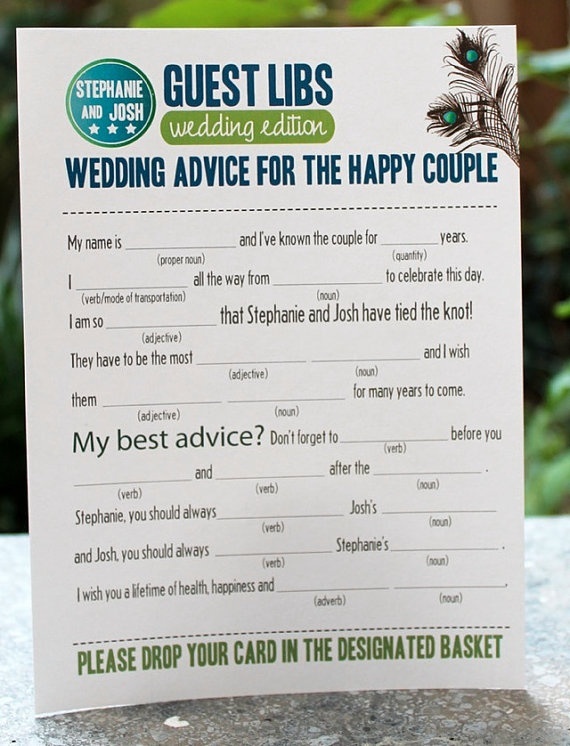 I really love all these ideas for friends and family to give advice to you as a newlywed couple. It is nice to know what has worked for everyone else and hear his or her perspective on certain situations. This is pretty funny! Have a “caption this” sign in. Everyone can write their own caption on your guys’ photos. Got to say, this is probably one of my favorites. 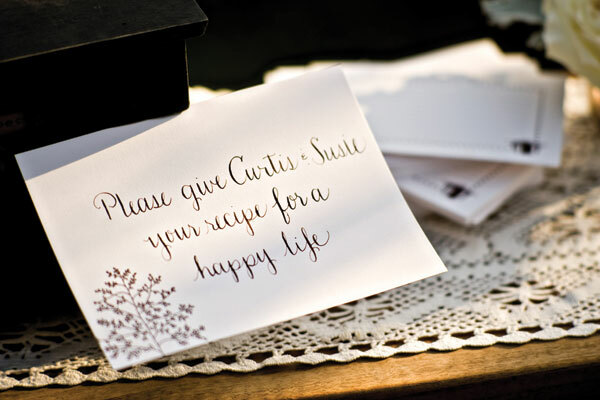 When sending out wedding invitations, include a blank recipe card for everyone to fill out, so they can bring it to the wedding and place it in a box; you will have an instant cookbook! When signing in, everyone can write their address, phone number, email, etc. so you can ensure that you have everyone’s contact information without having to scramble to get it last minute later on.